Vice President Mike Pence responded to what South Korea reported as Kim Jong Un embracing the idea of denuclearizing his country to advance the peace process by implying the US may still use military force. Pence’s statement doesn’t appear to regard South Korea’s assessment of North Korea’s talk of denuclearization as totally sincere. But Pence’s statement does underline how significant Kim’s talk of denuclearization, if sincere, could be. 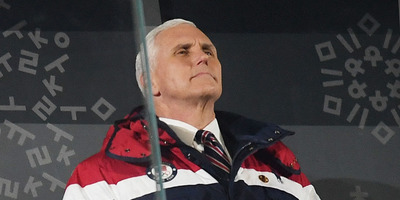 Vice President Mike Pence responded Tuesday to what South Korea reported as Kim Jong Un embracing the idea of denuclearizing his country to advance the peace process with a vague but stern message. Pence’s statement doesn’t appear to regard South Korea’s assessment of North Korea’s talk of denuclearization as totally sincere. It returns to the “all options” rhetoric of a much tenser 2017, when President Donald Trump and Kim traded nuclear threats on a regular basis. Trump himself has only responded to the news via Twitter, while the White House didn’t issue a separate comment. Pence’s statement does underline how significant Kim’s talk of denuclearization, if sincere, could be. The US insists on denuclearizing North Korea and refuses to engage in talks with the country unless the nuclear weapons are on the negotiating table. North Korea under Kim Jong Un has written its possession of nuclear weapons into its constitution and has bitterly opposed discarding the weapons under any circumstances. But under the “maximum pressure” approach from the Trump administration, which has seen diplomatic, economic, and military pressure mount against Pyongyang like never before, the Kim regime may reconsider its priorities. But experts remain sceptical, and only reports from South Korea say that Kim is willing to talk about denuclearization. North Korean media has yet to confirm the statements.